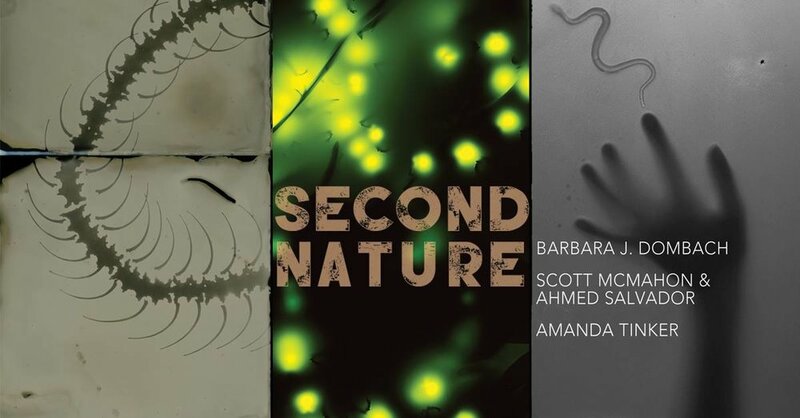 The Halide Project is pleased to present the work of Barbara J. Dombach, Scott McMahon with Ahmed Salvador, and Living Image 2017 grand prize winner Amanda Tinker in SECOND NATURE. Join us for the Opening Reception and Artists Panel Talk Saturday, April 7th, 5-9pm and visitwww.thehalideproject.org/events to register for special programs and workshops throughout the month! The artists featured in Second Nature employ alternative photographic processes that allow them to transform common, natural forms into otherworldly images, decontextualizing and reassembling their subject matter in new and provocative ways. The images on view touch upon themes of nostalgia, the sense of self, and our relationship with thenatural world and exemplify the contemporary possibilities in historic photographic practices.